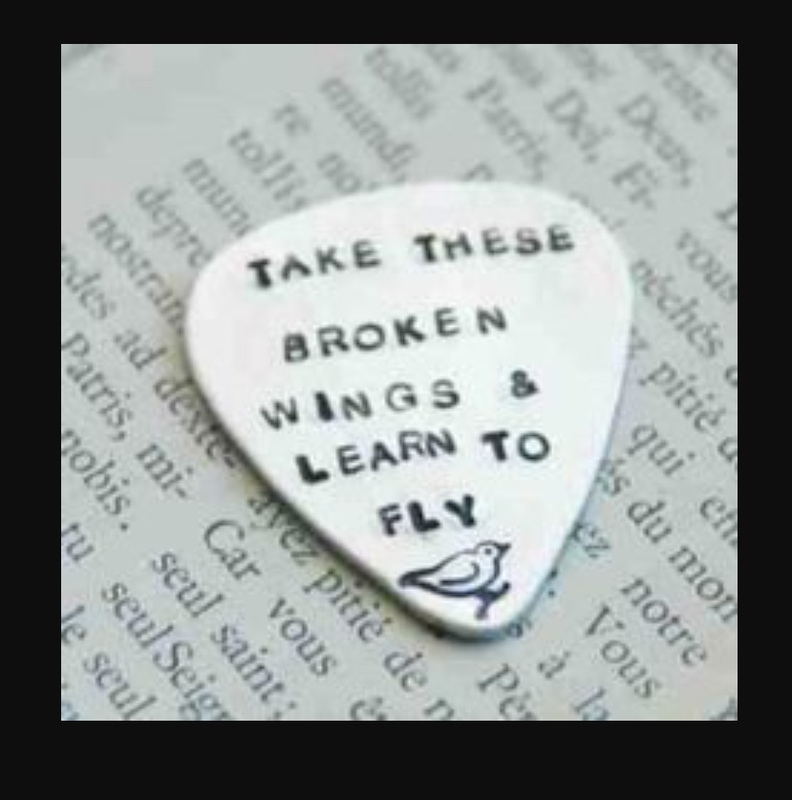 Take These Broken Wings ~ Are you ready to fly? I have a story for you…. Once upon a time there was a caterpillar. She was a good little caterpillar, eating her leaf day after day, just like all the other caterpillars. Until one day she realized that she didn’t want to eat her leaf anymore, something inside of her told her that she was meant to do more than just eat leaves. All the other caterpillars laughed at what she told them as they continued to crunch away, “what makes you think that you’ll ever be anything more than what you are? And why would you want to be?” they mocked “You’ll always be the same”. Our little caterpillar didn’t know how to answer their questions, she just knew what she felt inside, and so she ignored them and went her own way. As she began her journey; searching, yet not knowing exactly what she was searching for; she began to feel tired. Finding a quiet place, our dear little caterpillar closed her eyes to rest, but as she began to drift off she felt something inside of her begin to change. A warmth deep down that was so strong it could not be ignored. Then in that moment, as sleep overcame her, that she knew she had found it, what she had been searching for. As she slept, our little caterpillar formed herself into a chrysalis. One beautiful morning, our dear little friend began to wake up. She instantly knew something important had happened. As she slowly stirred, the chrysalis fell from her body. She felt something soft folded around her as the world came into view. She felt a little afraid, yet knew it was right, so with great effort she took a deep breath, spread her wings, and bursting forward she took flight. She was no longer like the others; those who said she was different and strange; the caterpillars who now stared up at her from the ground, calling her wings ugly; saying she had wasted her time and should come back to her leaf. But as she looked down at them, she only smiled. She knew she wasn’t weird or ugly, she had finally completed her journey, finding who she really was, and what she was always meant to be. A butterfly. She was never meant to stay a caterpillar sitting on the ground, this potential had always been inside of her. She had wings. She had always been meant to fly. Dearest friends, in those moments when someone looks at you; seeing you as strange or different simply because you are different from them; stop; breathe; and take a moment to feel what is inside of you. Listen closely to your heart. Do you know who you are; do you see how much you are worth; that you have amazing potential; what you can become? I see it. If you haven’t yet then it may be time to start on a journey of your own. This could be your butterfly moment. You have wings. You were born to fly. ← PD vs. The Mall ~ Would you walk a mall in our shoes?